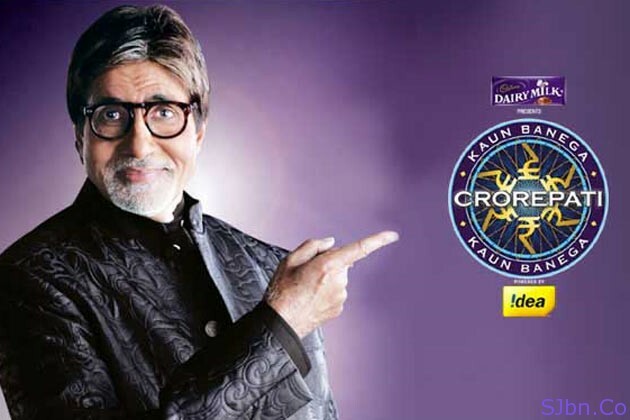 Today in this post I will tell you how you can play and watch Kaun Banega Crorepati online. Kaun Banega Crorepati a.k.a. KBC which is Indians most popular reality game show, originally it is UK based games known as “Who Wants to Be a Millionaire?”. This show was first aired in India in July 2000 and hosted by Amitabh Bachchan. He was the first one with KBC in Indian film industry who appeared in television show. So if you have tried a lot to get into KBC game but didn’t have the luck so you can give a try on online version of it and win virtual money of one crore, by going to YouTube.com/SetIndia. There you will be asked 12 questions and you will get only 30 seconds to answer one question. As answered one question wrong your game will end but don’t worry you can play it again any many times you want. And if you want to watch all the full episodes of KBC Season 5 which started on 15th August 2011, you can go to YouTube.com/show?p=bVd0nd79oM0. i am pramod bindra from varansi. i want to play kbc…..i need money …….i want to change my family problms….. I am veri fan big of KBC. i like this programme. i want participiate this game. but how apply ? cont add.or person ? pze help me. I want to participate and play KBC-5 pls give a chance. KBC game is a very amging,hope giving, life giving, dream giver…game may Glory to be Only one God. mujhe pura bishwas hai ki agale season me mai "HOT SEAT" tak awasya pahunchunga tatha…apani umido par pura khara uturunga….yahi ek aisa mandir hai jaha "LAXMI N SARASWATI" dono deviya maujud hai…. hai sir ji mere upar mereku bhahut viswas hai ki mai agale ssion mai ''HOT SEAT''par aake baitunga please help karo..